The previous year was a pretty tough and stressful one for Doctors of the World Greece.  A year that was full of challenges, frustrations, crises and change. A year, nonetheless, like all the rest for those of us who fight in the frontline, remaining loyal to our principles and trying to secure the access to the right of health that all the people are entitled to. When talking about health, we mean the state of full physical, mental and social well-being, not just the lack of a disease or disability. Volunteering doctors, administrative stuff, social workers, psychologists and nurses, they all offered their services for the various projects that were implemented by the Doctors of the World throughout 2015. The International Network of the Doctors of the World also supported the Greek Department offering manpower and resources, helping the realization of our missions inside Greece, showing a true solidarity at these hard times that our country is through. 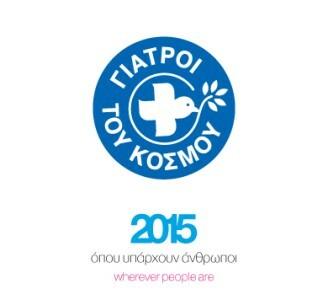 The Board of Directors, the General Director, the Staff and Volunteers of the Doctors of the World – Greece, they all joined forces for yet another year in order to relieve the pain and to provide health and psychosocial care to those in need. 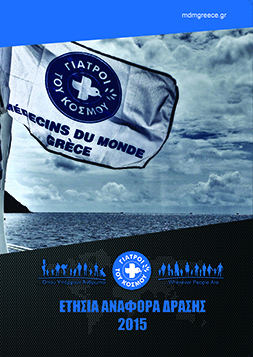 With more than 25 active projects throughout 2015, the Doctors of the World – Greece have responded to the multifaceted and severe crisis our country is facing (counting, as always, to our medical experience). We spoke openly and completely independently against the preclusion from accessing healthcare, against human-rights violations and against the depriving of human dignity. As the Doctors of the World – Greece we now have 25 years of experience in action and we continue to implement projects dealing with emergency issues but also with long-term development projects, either by ourselves or with the cooperation with other partners. Our basic goal is still to secure the right to a healthy life for every human being, regardless of gender, religion, ideology or political belief. 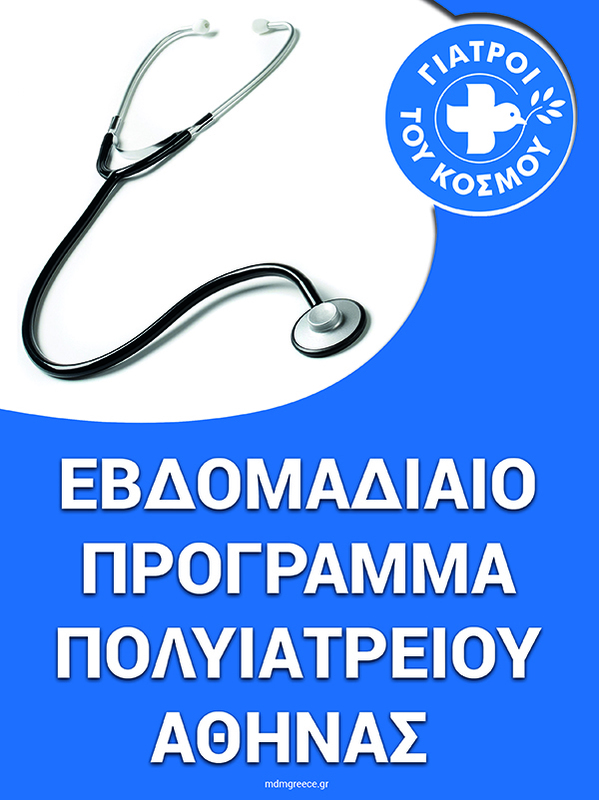 President at the Board of Directors of Doctors of the World – Greece.